Today is the birthday of Charles Liebmann (November 16, 1837-June 23, 1928). He was born in Schmiedelfeld, Baden-Wuerttemberg, Germany. His father owned the Castle Schmiedelfeld, but when Charles was two, the family moved to Ludwigsburg and operated the Zum Stern Inn there, which also included a brewery. For political reasons, some of the family moved to America around 1850 to build a home, and the rest followed in 1854. Initially he ran the old Maasche Brewery, but later built a new brewery in Bushwick. Originally, it was called the Samuel Liebmann Brewery, but when his sons joined the brewery, it was called the S. Liebmann’s Sons Brewery. When Joseph’s father died in 1872, Charles and his brothers took over the family brewery. 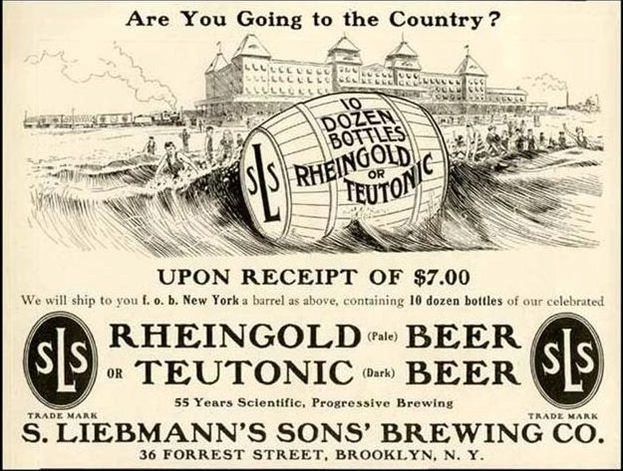 After prohibition ended, the brothers’ six sons re-opened the brewery as the simpler Liebmann Breweries, but in 1964 they changed the name again to Rheingold Breweries, after their most popular beer. The brewery closed in 1976. 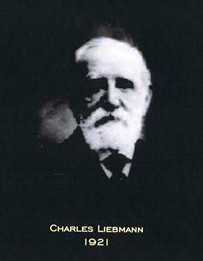 Charles Liebmann was born in 1837. His father Samuel Liebmann was at that time owner of the estate Schloss Schmiedelfeld. 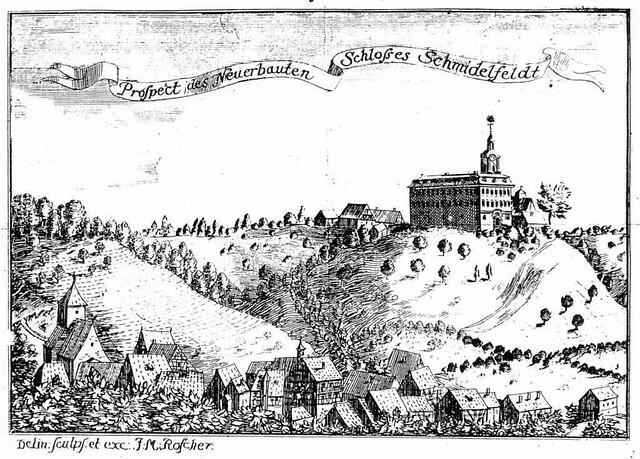 In 1840, the family moved to Ludwigsburg and operated there the inn “Zum Stern” with attached brewery. There Liebmann attended the secondary school. After the father decided for political reasons to emigrate to America, Liebmann’s brother Joseph was sent ahead in 1850 to build a new home. This settled in Williamsburg. Four years later, the rest of the family followed. In the new home Liebmanns first operated the old Maasche Brewery. For a short time Liebmann was employed by the F. & M. Schaefer Brewing Company as Küfer. 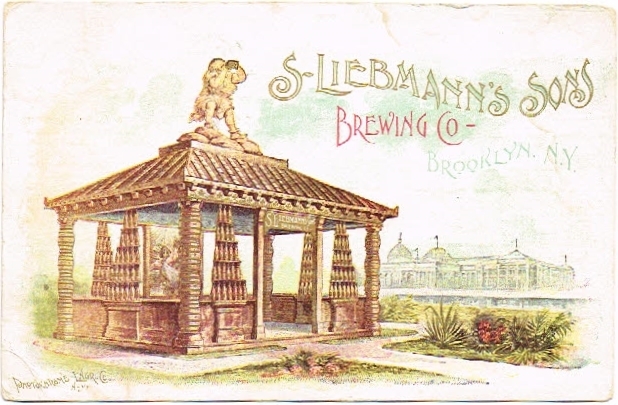 Later, the family built a new brewery in Bushwick – the S. Liebmann Brewery. 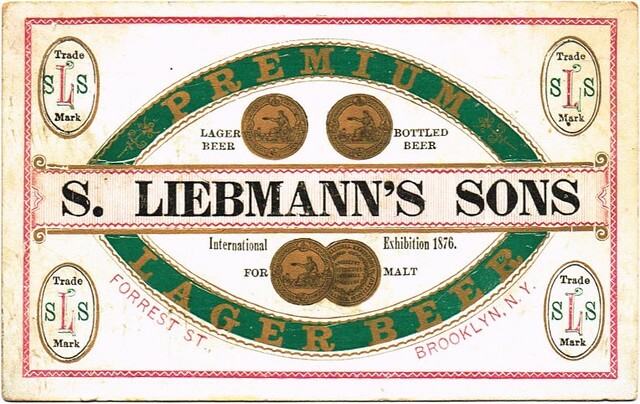 After the death of his father Samuel Liebmann in 1872, his sons took over the management of the brewery and renamed it S. Liebmann’s Sons Brewery. The Liebmann brothers alternated with each other as Chief Executive Officer each year. Charles Liebmann was considered the technical director of the company. In 1903, the Liebmann brothers retired and handed over the management of the company to six of their sons. Liebmann died in 1928 in New York. When Charles Liebmann was born on November 16, 1837, in Schwäbisch Hall, Baden-Württemberg, Germany, his father, Samuel, was 38 and his mother, Sara, was 36. He married Sophia Bendix on October 22, 1865. They had six children during their marriage. He died on June 23, 1928, in Manhattan, New York, at the age of 90, and was buried in Queens, New York. New Yorkers over the age of fifty will remember the brand name Rheingold Beer and the company’s brilliant publicity stunt in which a bevy of attractive young women competed annually for the privilege of being elected that year’s Miss Rheingold and appearing in ads on billboards and in the subways throughout the New York area. The beer’s evocative name with its allusion to Germany’s great river, was the culmination of a German-Jewish family enterprise that had its beginnings in 1840 in the town of Ludwigsburg, north of Stuttgart, in what was then the Kingdom of Württemberg. One Samuel Liebmann, a member of a prominent Jewish family in the region, settled there and bought the inn and brewery “Zum Stern.” A liberal and staunch supporter of Republican ideals, Liebmann encouraged other like-minded citizens, including some soldiers from the garrison, to meet in his hospitable surroundings. The ideas fomented there contributed to the local revolution of 1848. It brought the opprobrium of the King down upon Liebmann’s enterprise, and “Zum Stern” was declared off limits to the soldiers. Soon thereafter, in 1850, Samuel Liebmann emigrated to the U.S. The family settled in Brooklyn and Samuel, together with his three sons, Joseph, Henry, and Charles, opened a brewery once again at the corner of Forest and Bremen Streets. With the responsibilities divided among the family – Henry became the brewing expert, Charles. the engineer and architect, Joseph, finance manager – the company was already flourishing by the time of Samuel’s death in 1872. Success also led to a concern for the company’s Brooklyn surroundings, and the Liebmanns became involved in local welfare – focusing on housing and drainage systems. 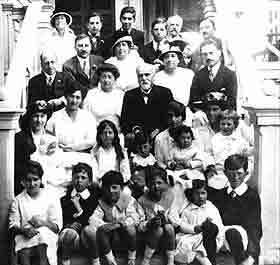 Each of the three brothers had two sons, and when the older Liebmanns retired in 1903, the six members of the third generation took over. Other members of the family also contributed to the gradual expansion of the company. In 1895 Sadie Liebmann (Joseph’s daughter), married Samuel Simon Steiner, a trader in high quality hop, an essential ingredient for good beer. 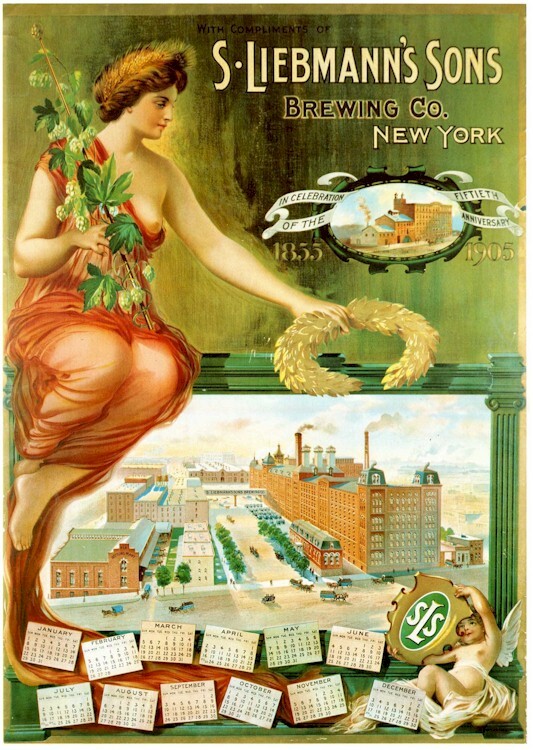 Steiner’s father had begun merchandising hop in Laupheim in 1845 and still today, S.S. Steiner, with its headquarters in New York, is one of the leading hop merchants. Under these fortuitous family circumstances, beer production grew constantly. In the early years, the brewery had produced 1000 barrels per year, by 1914 its output stood at 700,000 barrels. With the reinstatement of legal alcohol production under President Roosevelt in 1933, opportunities for the brewery opened up, abetted by the anti-Semitic policies of Hitler’s Germany. The pressures on Jewish businessmen there, brought Dr. Hermann Schülein, general manager of the world-renowned LšwenbrŠu brewery, to America. Schulein’s father, Joseph, had acquired two of Munich’s leading breweries at the end of the nineteenth century–Union and Münchner Kindl–and his son had managed the 1920 merger with Löwenbrau. Arriving in New York with this experience behind him, Hermann Schülein became one of the top managers of the Liebmann brewery and was instrumental in its spectacular growth after World War II. At the height of the campaign’s success in the 1950’s and 60’s, the Liebmann Brewery had an output of beer ten times that of Löwenbrau at the same time in Munich. For thirty years, Rheingold Beer reigned supreme in the New York area, but by 1976, as a local brewery, it could no longer compete with nationwide companies such as Anheuser & Busch, Miller, and Schlitz, and its doors were closed. Only recently, using the same brewmaster, Rheingold is once again being sold in the tri-state area. After supporting a movement to oust King William I of Wurttemberg, and sensing the wavering tolerance of Jewish businessmen, Samuel sent his eldest son Joseph to the US in 1854 to scout out a location to establish a brewery. Samuel retired in 1868 and turned the family business over to his sons Joseph, Charles, and Henry under the name S. Liebmann’s Sons Brewery.